Discover the right good old time of playing top bingo games along with thrilling slots, casino and instant win games at Two Fat Ladies Bingo! This vastly entertaining online bingo site comes with many bonuses and daily promotions to ensure that you always have a great time. 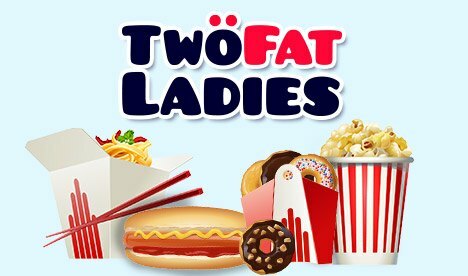 The two fat ladies are ready to keep you entertained with a plethora of unique bonuses and exciting promotions. As a new player at Two Fat Ladies Bingo, you will have the opportunity to lay your hands on a superb Welcome Bonus after signing up. Register now and grab an £88 + 10 Free Spins on your first deposit of a minimum of £10 or more. This would boost your bankroll and perhaps help you get some fat wins too! There are five Free Bingo rooms where you can enjoy thanks to the Loyalty Plan. The VIP program at the bingo site also enables you to enjoy increased jackpots, top exclusive promotions, and bigger prizes. You can even win free tickets just by playing bingo with the loyalty scheme, and the higher is your loyalty level, the more tickets you will receive for free each month. Share in the guaranteed jackpot of £10,000 with The Big £10K prebuy game at Two Fat Ladies. Here everyone who purchases their cards for this game gets a piece of the prize! You can either play in the numerous 90 Ball Bingo rooms or the 75 Ball Bingo rooms at Two Fat Ladies. Some of the top bingo rooms found on the bingo site include Funky Monkey, Sunny 90s, Chatterbox and Roller Coaster. There are even Coverall and Bingo Progressive games where you can win up to £1,000,000 each week at this highly exciting bingo site. Two Fat Ladies is also home to a wide selection of hot slot games such as Fluffy Favourites, Millionaire Genie, and Rainbow Riches. Just boost your bankroll by claiming the promo codes found on the cashier at Two Fat Ladies Bingo! Plus, if you want to be kept updated with the latest promotions, you can just visit the promo page, or get in touch via Facebook, Twitter, Email, or Live Chat. Two Fat Ladies Bingo uses the highly powerful and trusted software of Dragonfish. So, you can expect to have one of the best thrilling bingo experience on the site. The different casino and slot games found on this bingo site are the creation of top game providers such as WMS, Eyecon, NetEnt, and Microgaming. You can pick from many trusted and popular payment methods on the site. These include all the major credit cards such as MasterCard and Visa, Paysafecard, Neteller, EntroPay, and PayPal. Enjoy your bingo gameplay to the fullest by playing at Two Fat Ladies Bingo while being on the go from any tablet or smartphone. Now you won’t ever miss any bingo game and you will have the opportunity to win big anytime!